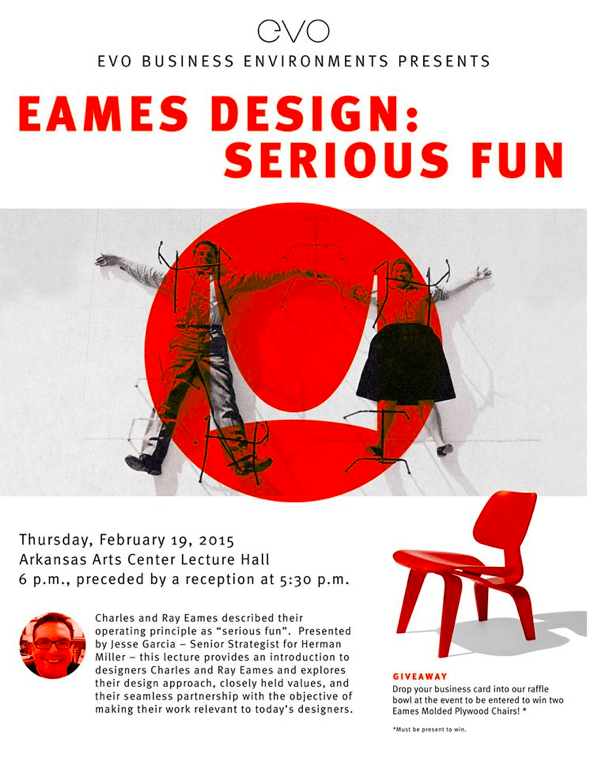 Eames Design: “Serious Fun” presentation. Win a pair of Herman Miller Eames Molded Plywood Chairs!!! I’d like to inform you of another CEU opportunity. 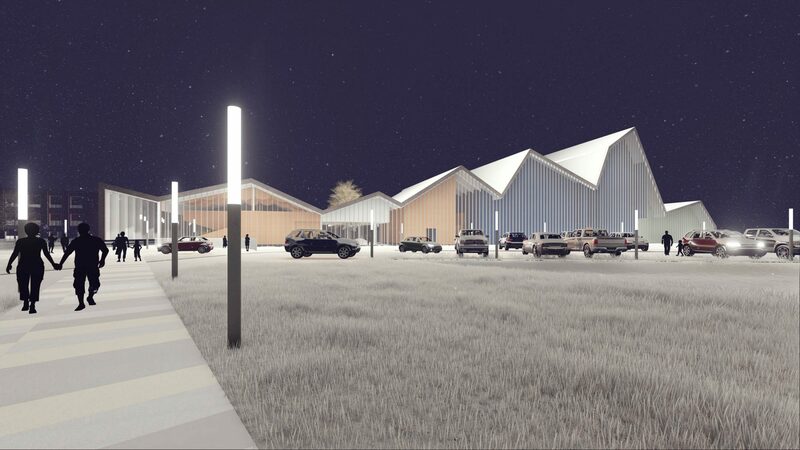 Charles and Ray Eames described their operating principle as “serious fun”. Presented by Jesse Garcia – Senior Strategist for Herman Miller – this lecture provides an introduction to designers Charles and Ray Eames and explores their design approach, closely held values, and their seamless partnership with the objective of making their work relevant to today’s designers. Evo Business Environments encourages attendees to bring a business card to the lecture to enter a raffle drawing for two red Eames Molded Plywood Lounge Chairs.